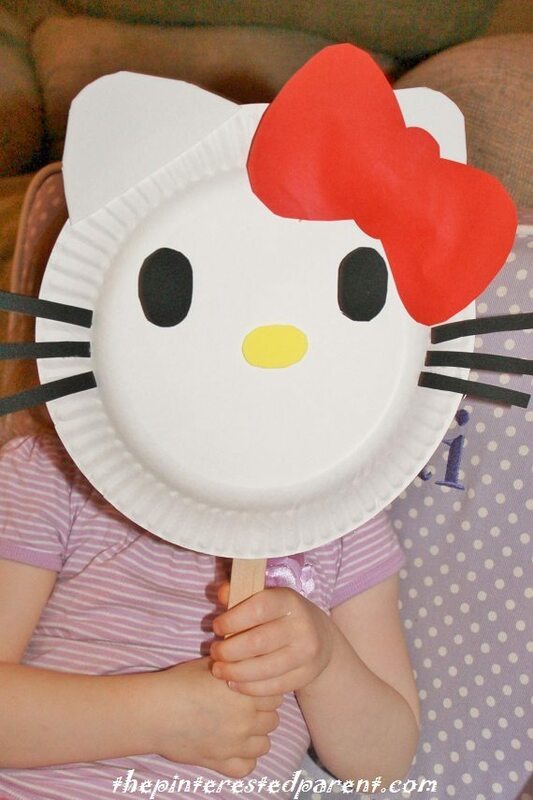 My daughter loves Hello Kitty. I love that it is such a simple character to make. 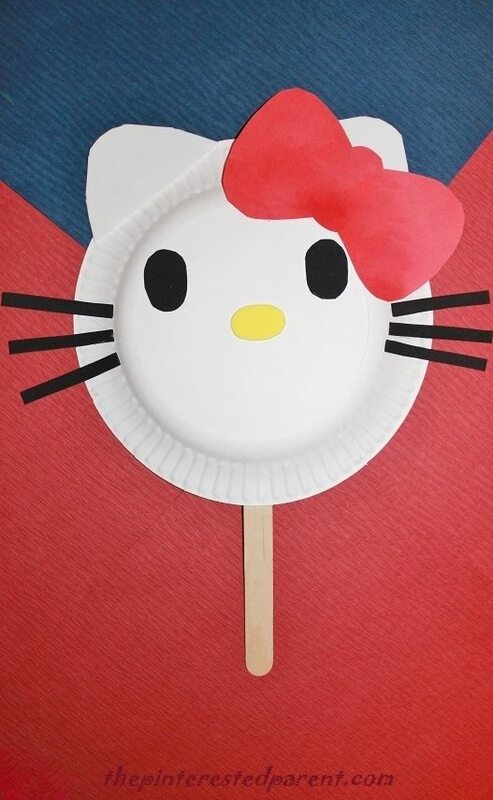 She watched Hello Kitty tonight while I made dinner. In between steps, I made her a little surprise. It took about 5 minutes & left a smile on my daughter’s face. 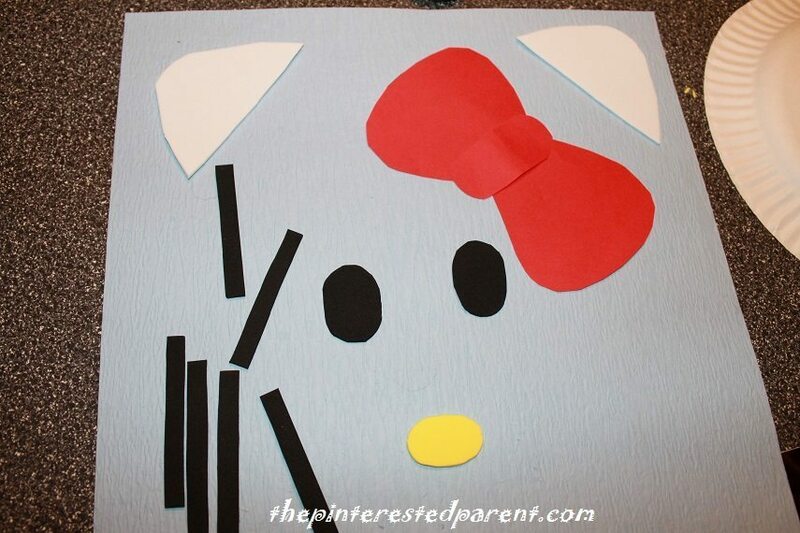 Cut shapes out of construction paper for the kitty. 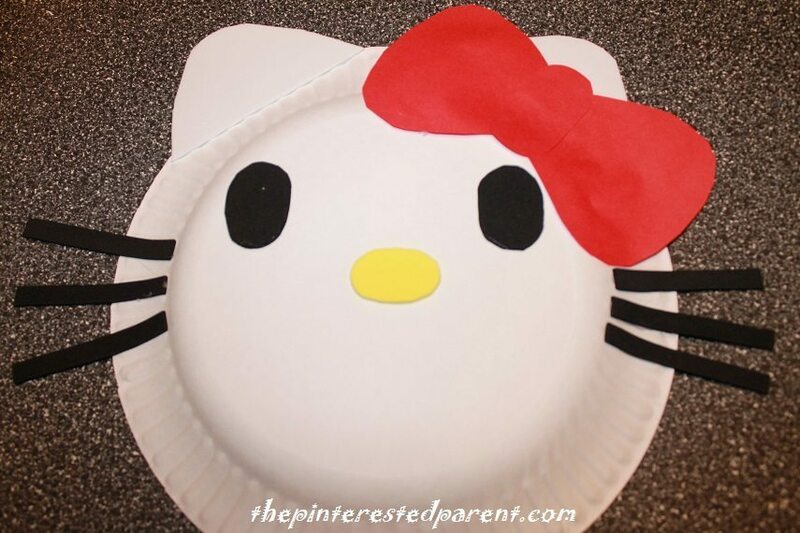 Glue all of the pieces to the paper plate. 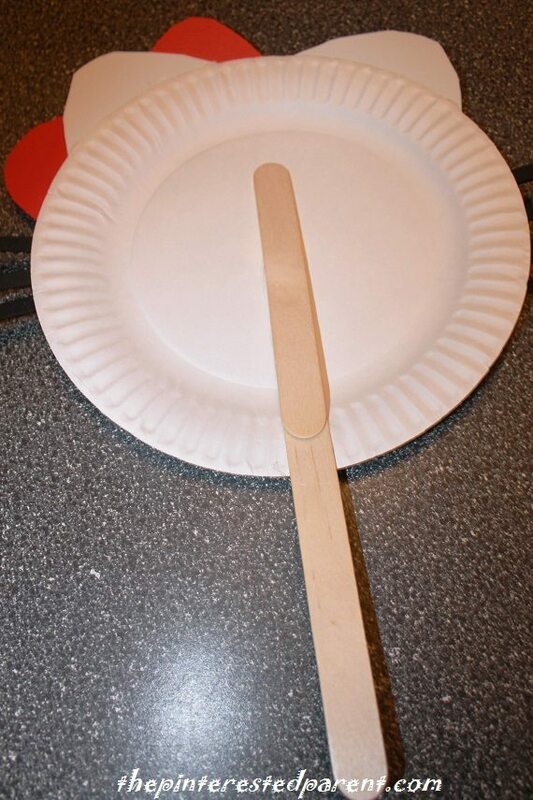 Glue two craft sticks to the back of the plate to make your mask handle.